Gulf Chain Saw Bio is just one of the wide range of Biodegradable Lubricants offered by Gannon Oils. Gulf Chain Saw Bio [ Chain Saw Oil ] is an environmentally friendly biodegradable chainsaw oil based on a naturally occurring vegetable oils and special additives to impart tackiness, adhesiveness and lubricity. These specially selected additives will be broken in the environment in a very short time. Gulf Chain Saw Bio [ Chain Saw Oil ] keeps its excellent tackiness and adhesiveness even at high temperatures, and is developed to lubricate the chain of chain saws so that the chain does not brake or get jammed. 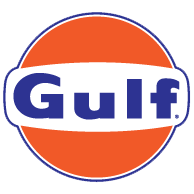 Gulf Chain Saw Bio should NOT be used to lubricate the engine of the chainsaw. One typical example of the need for bio-degradable oil is in chain saw and cutter bar lubrication. Here the engine oil, usually a 2-stroke engine, is expelled along with the exhaust gas. Similarly the cutter bar oil can be jettisoned into the environment by centrifugal force as the chain spins over the end of the cutter bar. Gulf Chain Saw Bio [ Chain Saw Oil ] is also applicable in ISO VG 100 or 150 due to the very high viscosity index (>200).